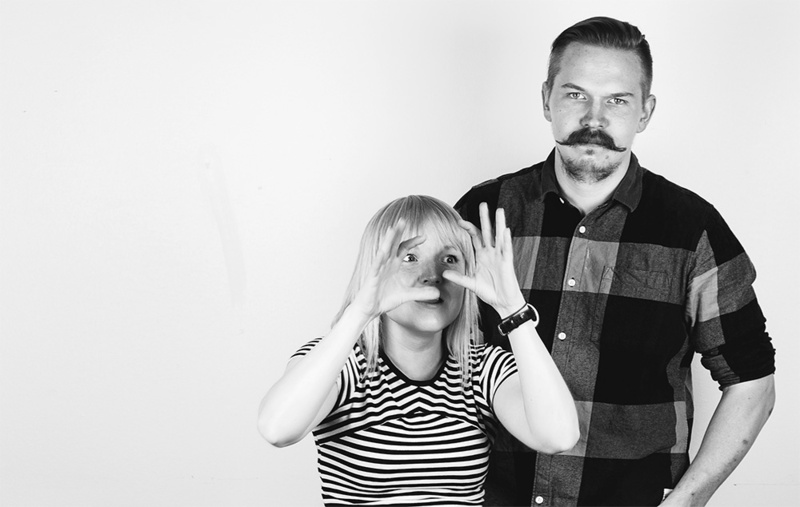 We are Emmi and Antti and together we are BLOUN. 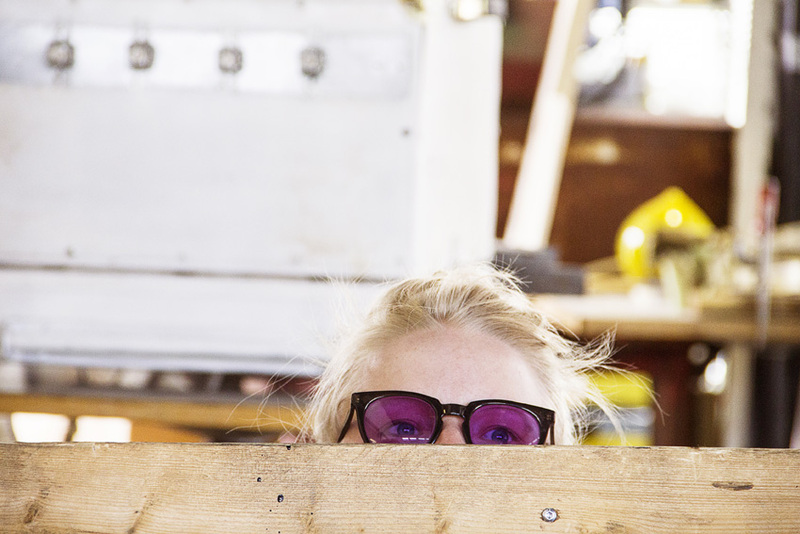 We’re more of makers than story tellers, but here’s a little info on what we do. We create colorful and unique glass pendant and table lamps. What makes them unique is the making process. 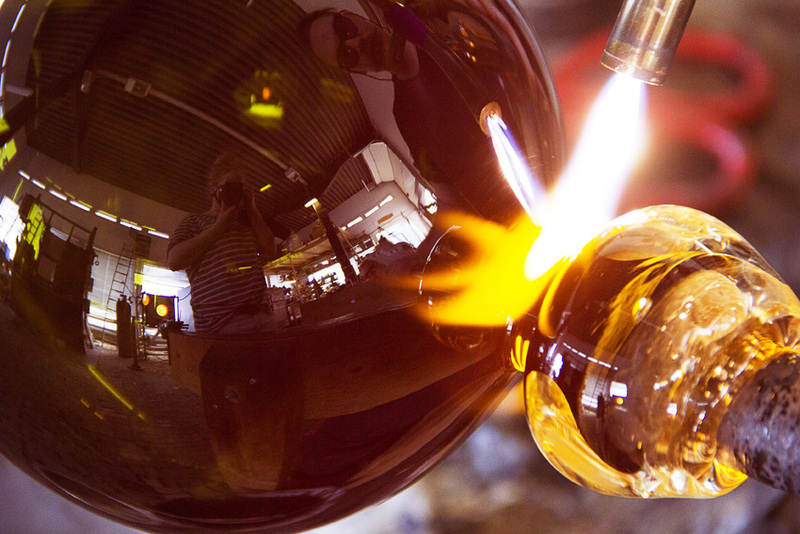 We use no machines or molds and shape the glass entirely by hand. The same way it was done two thousand years ago. 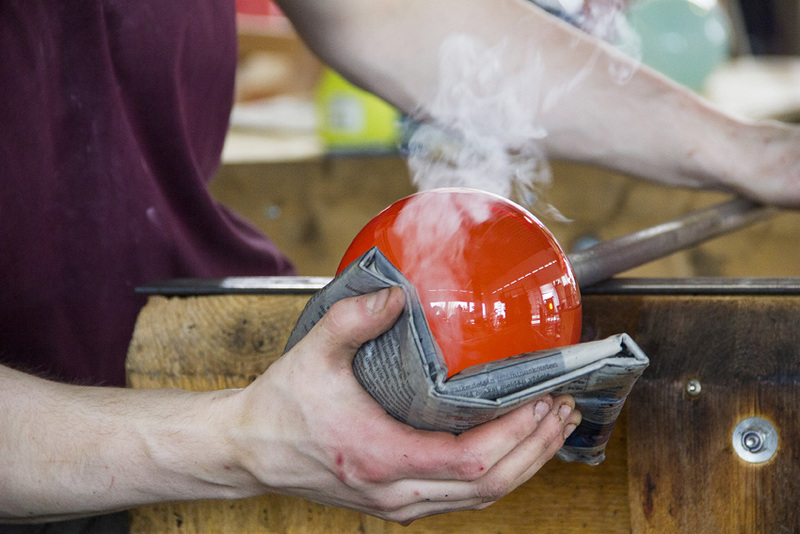 We’re dedicated to maintaining the ancient craft of glass blowing. As we make the lamps to order you can pick and mix from our wide selection of colors for the shade, cable and other tiny bits. Making your lamp even more unique. 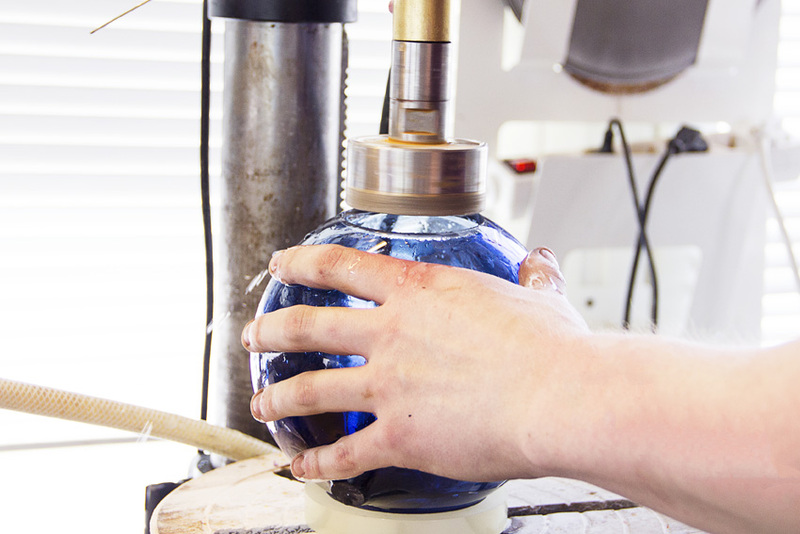 We are passionate about what we do and it shows in our beautifully crafted products. A BLOUN lamp is an accent piece that will bring joy to any home. 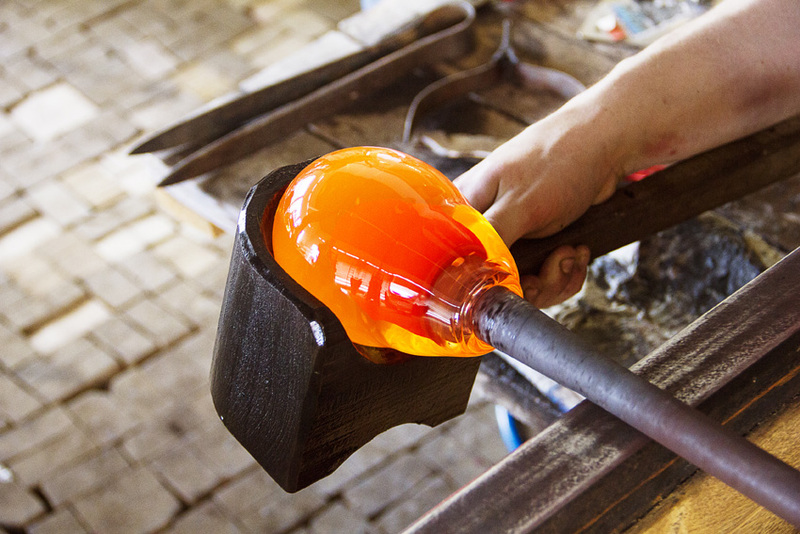 Here’s just a few of the stages it takes to make a BLOUN lamp. 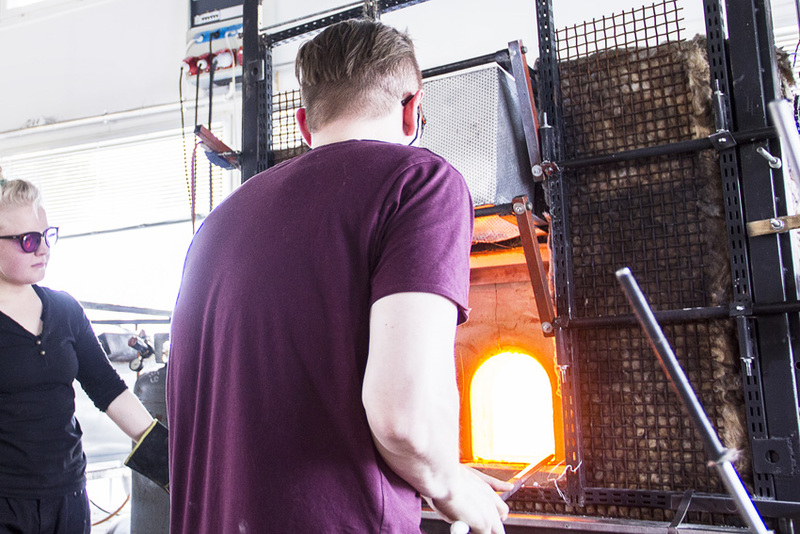 Every piece starts with gathering the hot glass on the blowpipe from a 1100°C oven. The molten mass is then shaped and cooled a bit with a wet wooden scoop us glassblowers call the block. 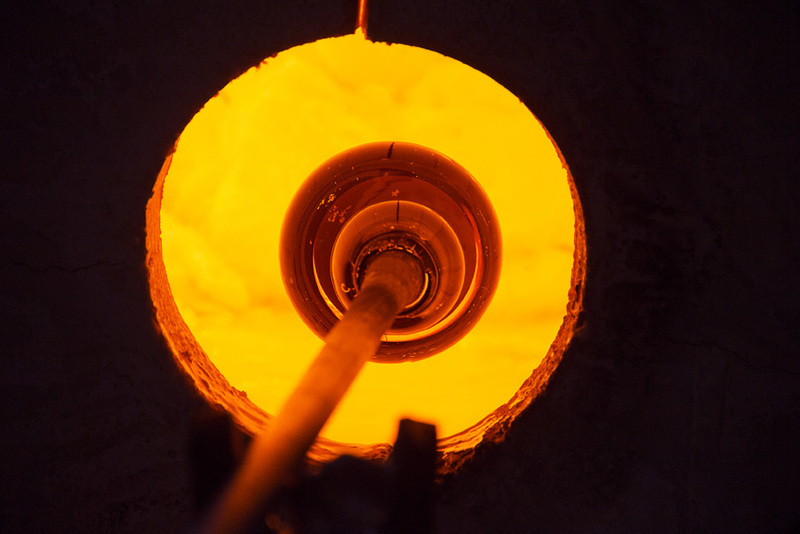 The piece needs to be reheated in the glory hole once in a while to keep the glass moving. Majority of the shaping is done with a wet newspaper. 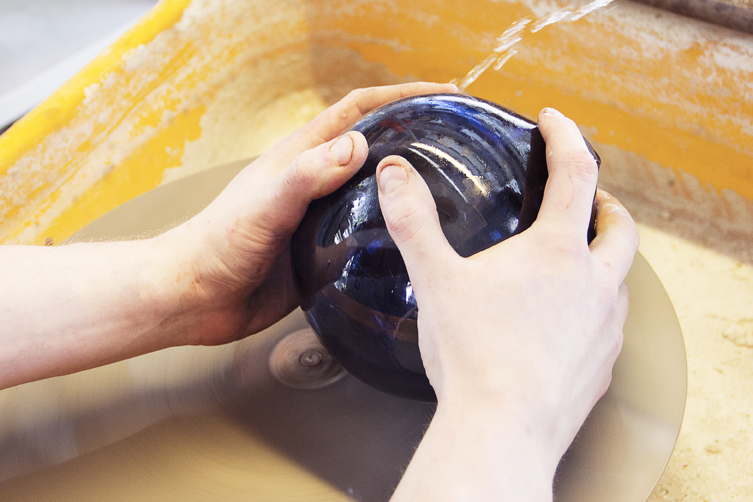 As we use no molds and shape the piece by hand we need to constantly check the diameter. Not quite there yet. Heating and shaping the neck of the piece. The piece will be broken of the blow pipe at the neck. After the piece has cooled down slowly to room temperature over night it’s time for cold working. Here the piece is being drilled. 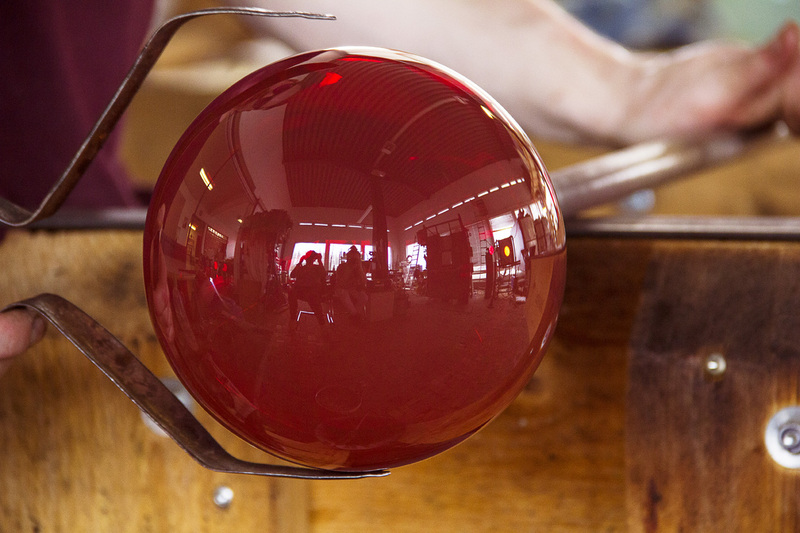 The final stage of cold working is grinding and polishing. Now the glass part is done and we can start assembling the lamp.